Your QQ HOST - Julie Detlef - It is challenge time here on the Quick Quotes blog. I know that it is a busy time of year, so I am keeping this one simple and useful! 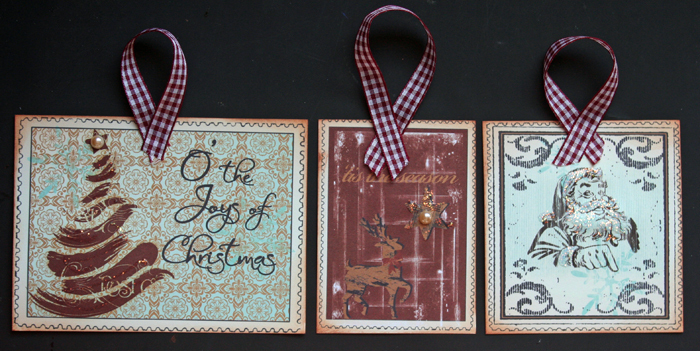 We challenge you to create a tag to use this season. If you do not celebrate Christmas, you can create a gift tag to use. 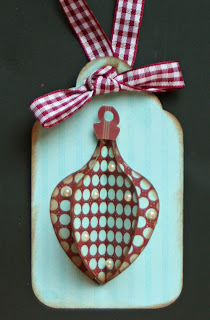 I created this ornament gift tag using the Quick Quotes December Club Q kit and a digital image that I cut on my Silhouette. It is a 3-D ornament tag. I inked the edges with amaretto powderpuff chalk ink. I also adhered some pearls from the kit to give it a little something extra. This month’s Quick Quotes Club Q comes with an awesome pattern paper page that is full of stamp images that are just perfect for converting into tags. These are really simple to put together and they are so cute. I just cut them from the pattern paper, inked the edges with the amaretto ink, and added some stickles and pearls to spruce them up a bit. Tips: Vintage ABC Quotes are just perfect for a simple hand made tag and we can use those never used letters. Like I did with K and it can be done for any occasion. I made it from 2 Savvy Davvy cardstocks, added the quote letter, used a corner punch, added 3 punched from the same paper butterflies and a huge Frosted one over the quote and finally embellished the frosted shape with some crystals all around. I just might do this I have a tag to make so who knows..
great challenge, can't wait to participate! 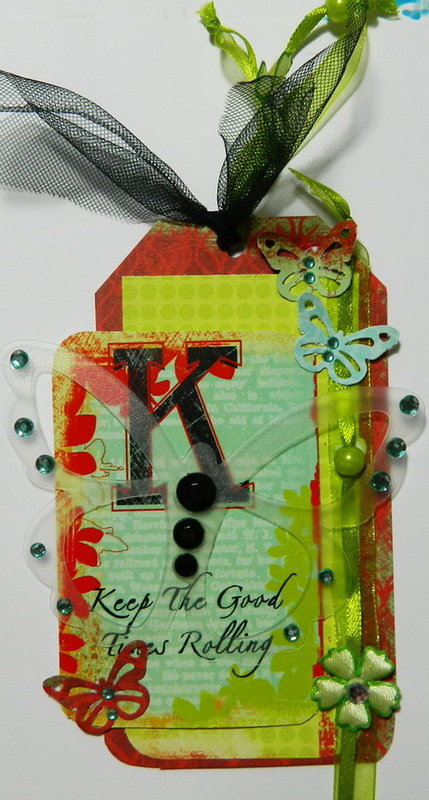 This was a super fun challenge and all the tags are gorgeous..
All of these tags are gorgeous and I especially love the one Irit made with the Saavy Davvy papers and the Vintage ABCs Quote. Great job, ladies! Thanks for the fun challenges and fantastic projects. Have a MERRY MERRY CHRISTMAS. Yikes I need to retake that photo ugh. Wow so many beautiful tags! Sorry I missed out on this challenge, lots of inspiration here.